The Sailor’s Inn Gold Desk Bell is colonial in style and cast in brass with a gold-tone finish, while its carved wooden base adds a sense of contrast. 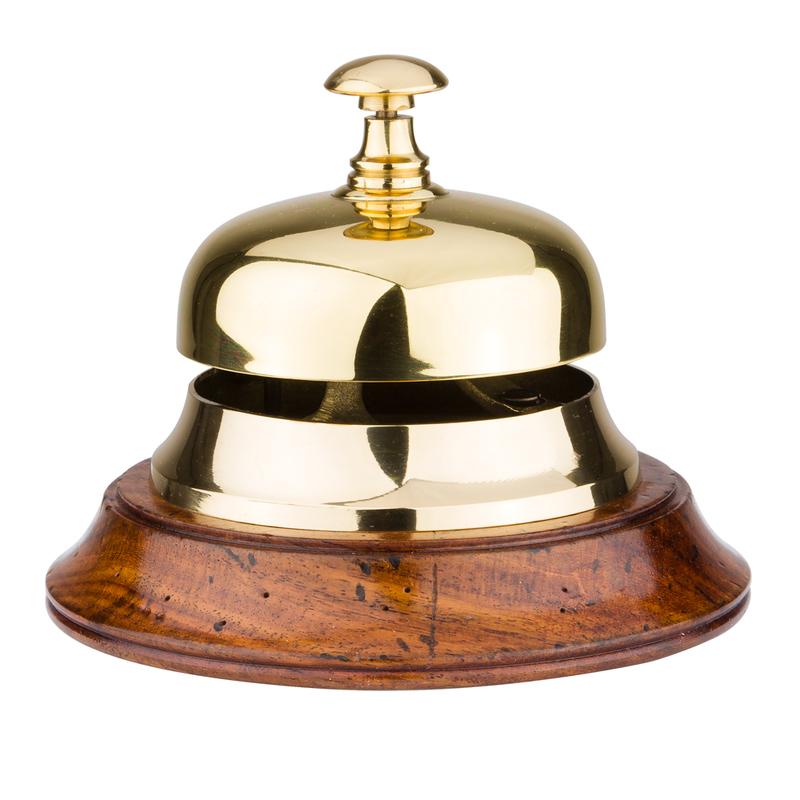 Such a bell would have been found at an inn’s front desk, and would chime out when struck. Place it in your own office or home, and spread a sense of hospitality! Cast from bronze, with a hand-turned wooden base and gold-tone finish.